It's time for the Indie Romance Convention awards. The indie romance convention is a celebration of the culture and fantastic talent that has emerged as a result of the independent writer’s revolution. 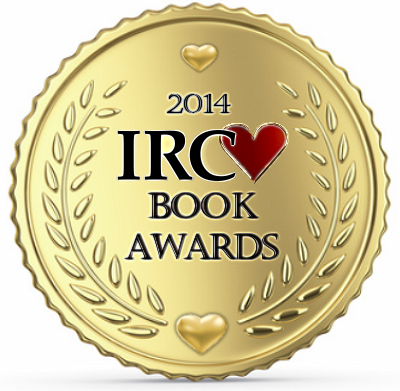 And it's time to nominate your favorite indie romance authors for their awards! My channeler series doesn't qualify because they were all published before 2013, save for Fire With Fire which doesn't quite fall under the romance genre. If you do end up voting for me or my books, I cannot thank you enough! I have cast my votes for all of my favorite indie authors, now it's your turn. Whether or not you vote for me, please vote and help support indies! Here's a bit more about IRC: It is their hope to highlight, educate, introduce, inspire and entertain people interested in the entrepreneurs that have made indie publishing such a success. It is not just writers they hope to spotlight, but also those who help them to achieve their goals such as bloggers, reviewers, cover artists, editors and of course, the most important of all, readers.